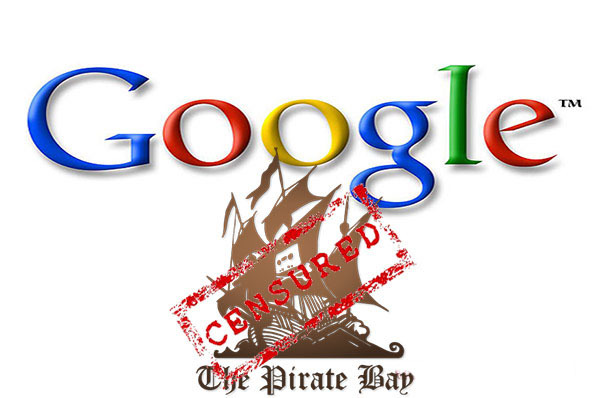 Google has taken action against internet pirates and removed several popular peer-to-peer file sharing sites including The Pirate Bay, isoHunt, 4Shared and Torrentreactor from its instant autocomplete search. The search provider hopes to prevent the distribution of pirated content with the move. This means that if you want to use Google to search for these sites you will need to type in the full name, otherwise the blacklisted sites will not come out. It’s not a complete ban, and Google hopes the move will in theory, reduce the traffic that those sites are getting. Google spokesperson Mistique Cano has made an official statement. “While there is no silver bullet for infringement online, this measure is one of several that we have implemented to curb copyright infringement online. We are not quite sure what Google are doing with this move. On one hand it’s not something that is going to make a blind bit of difference, as Google will still be showing results from those sites – they just won’t be suggesting them automatically. On the other hand, this might just be the preparation for a following, more major step, which might see such sites getting banned altogether from their search results. While we see how intellectual property needs to be protected, those sites are not only used for piracy. How about you? Would you prefer that the war on piracy goes on at full strength, even if that means a certain amount of censorship is required? Personally I think that piracy is something that will always be around, and as long as there is a piece of software, someone will want it for free, in the same way as long as there are movies people will want to see them for free.